It is time to say goodbye for good. Today is the day that I have to go back home. After five weeks of traveling to Ireland, New York City, New Orleans, Cancun, and a two weeks road trip in Cuba. After the breakfast, I packed my stuff, checked out and could not wait to leave this hotel. I tried to prepare my mobile phone with google maps, but the internet connection was so low this morning that it did not work. So I could not use the GPS signal on my phone. I hoped to find some road signs which lead me back to Havana. 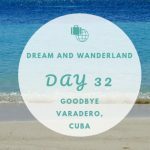 Of course, there were no signs at all, at least when I tried to find my way out of Varadero. I believe I took the wrong turn and I found myself back in Cardenas, which is about 25 km into the wrong direction. 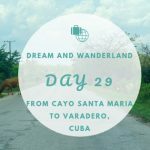 My memories are also not the best due to my horror trip on my way from Cayo Santa Maria to Varadero. But hey, during the past five weeks, I had a worse situation to master! Somehow, I made to a junction of several big roads and also a road sign appears which says in which direction I should head to go back to Havana. That is what I needed. Just a little hint to be back on the right track. Almost two hours later I entered Havana again and made it just in time for the date with Cuba Car to drop off my car. 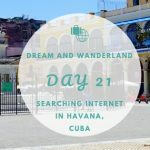 The plan was to return the car, settle me for the next three hours in Hotel Plaza, using the remaining Internet Cards and then heading to the airport for my flight later the day. So far so good. I arrived at the rental car location and dropped off the car. The one guy disappeared with the key – I thought he would check the car if anything is ok with it. The other guy, meanwhile, did all the paperwork and gave me back the deposit of 150 CUC. I believed that we would wait for the first guy to let us know if the car is good, but the one in the office told me that everything is ok and I could go. Asking him twice, confirming that everything is fine, I left the car station eventually. Hotel Plaza was just on the other side of the street, so I went there afterward. A few minutes after settling myself, the other guy, who checked the car, appeared suddenly and asked me to come back to the rental car office. I asked him why, because the other one already confirmed that I could go, and he became angrier and angrier. I did not understand why as he has not told me what the problem is. In the end, I put all my stuff into my bag again and went back with him. He told me that there is a problem with the car. The plate in the front was missing. To be honest, I have not recognized that is was not there anymore. First, I could not remember if this car was mine. I wanted to look around the corner to orientate myself so that I could recall where I parked the car and I could make sure that this one here, is the one. 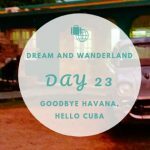 Grab your Cuban Tourist Card and get ready for your trip to Cuba! Just because of this little action of myself he wanted to call the police and I still did not understand why he is so mad. The concierge of the other hotel came out and wanted to try to help, and I told him, that I do not understand what the problem of that guy is and why he wants to call the police. 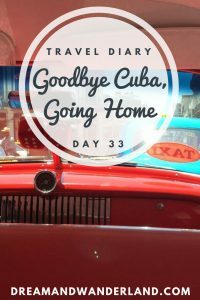 That was not the way I wanted to say goodbye to Cuba. After I cleared for myself that this is my car, unfortunately, I went down to the office again and asked the other guy what the problem is and why he is so angry. Especially, because he has already confirmed and did the paperwork, that everything is ok? He was able to explain that the plate in the front is missing and that it would cost 30 CUC. To avoid any further problems and to make sure that I do not get any issues with getting to the airport, I paid those 30 CUC. Later I thought by myself that I should have made some pictures before handing the car over, to be on the safe side and evidence that it is okay. I mean, who says that they were not the ones who took of the plate. Or, I lost it in this monsoon-like rainstorm and flood a couple of days ago. Who knows! But I did not want to get any further issues. Not on my travel home day. That is not the way how I wanted to say goodbye to Cuba. 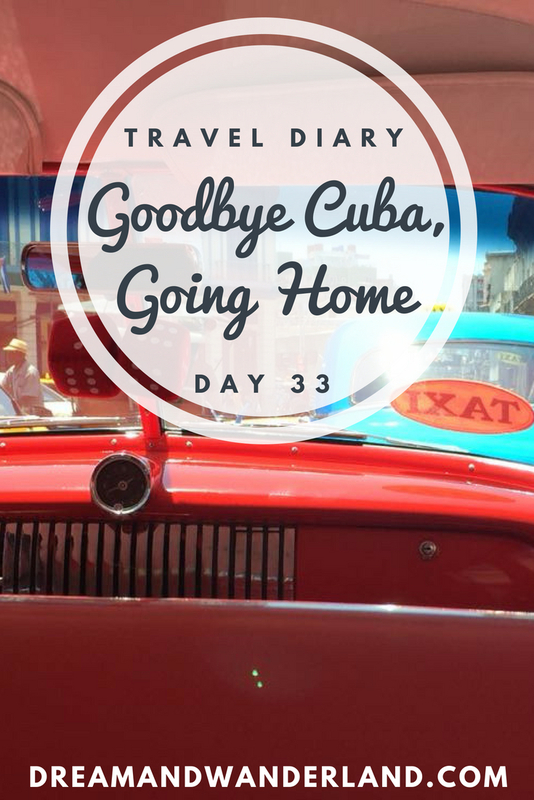 When I left the rental car office the second time, the concierge from the hotel was as helpful and polite as I am used to the Cuban people. He helped to get a Taxi. After that, I just wanted to be at the airport, no matter if I have to wait a few hours as it was still very early. At the airport, another bad news expected me. The airport staff told me that my flight is delayed for four hours, which means that departure would be around 10 p.m. instead of 6 p.m. I could not believe that. The monitors also showed this delay. Damn, I am already two hours too early for the check-in, now I have wait four hours additionally? What? But what other chance do I have, going to the city and back for further 50 CUC? No, for sure not. So, I looked for a pretty place to wait, read my book the second time, writing some more stories as long as my laptop´s battery will work, and kill time somehow. 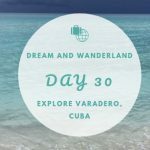 Get your Cuban Tourist Card right now! Awesome, that I got used to talking to strangers over the time. Because of that, it was easy to talk to another couple who was also waiting for their flight. They had the same issue a delay of four hours. It seems that there was a kind of pattern. We had a nice chat the next few hours. They also come from Germany but Bavaria, which is not the same area I live. They mentioned that the delay might be an error of the system and everything will be fine in the end. And so it was, the first couple of hours waiting at the airport. The monitors finally showed the correct times, and the information about the delay is not relevant anymore. Thank goodness, I will be home at the planned time. After two weeks of “adventure” holidays and especially this final three or four days, I am happy to be back home. In good old Germany, with convenient access to WiFi, well organized and structured traffic, and my very own bed. Do not get me wrong! I indeed enjoyed my time, at all of the places I have been to in the past five weeks. But there is a difference between the more or less similar United States, luxury hotel zone in Cancun or a still pretty adventurous and not so modernized Cuba. Any of those places have their advantages and other sides, and all of them are fantastic travel countries. They are unique, each of them in its way. Well, after a few more hours of flying and sleeping I arrived at home safe and sound. That is why this is the final episode of my travel diary. More to come with my next travels. But for now, enough of me. Feel free to recall any piece of the journey at any time. No matter if the couple of hours in Dublin during my layover in Ireland, or my day in New York City, where I took the chance and fulfilled a little dream to find all the replicas of the Statue of Liberty (there are four of them in NYC only, as far as I know). The time in New Orleans with my good friends and a lot of sightseeing and Wrestling! 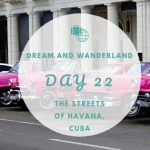 Not forget about my beach vacation in Cancun, a time warp back to the ancient times of Maya temples in Chichen Itza, and last but not least, the beginning of my road trip through Cuba. Have fun and see you on my next journey!! !